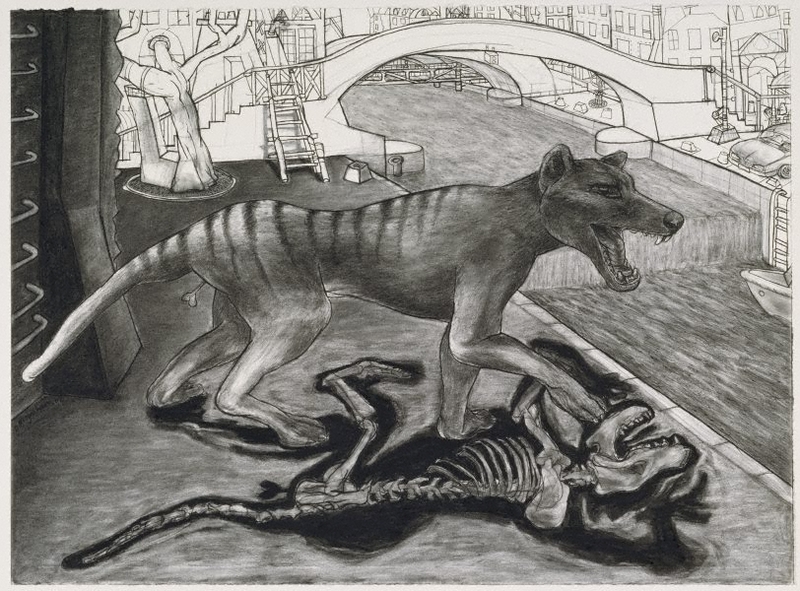 This work was a finalist in the 1993 Dobell Prize and was acquired by the Gallery in 1993. Signed and dated l.l., charcoal "D. Moynihan/ 92". Signed and dated top c. verso on backboard, charcoal "D.Moynihan/ 1992" and c. on backboard, blue fibre-tipped pen "D. Moynihan (Nov-Dec 1992)".